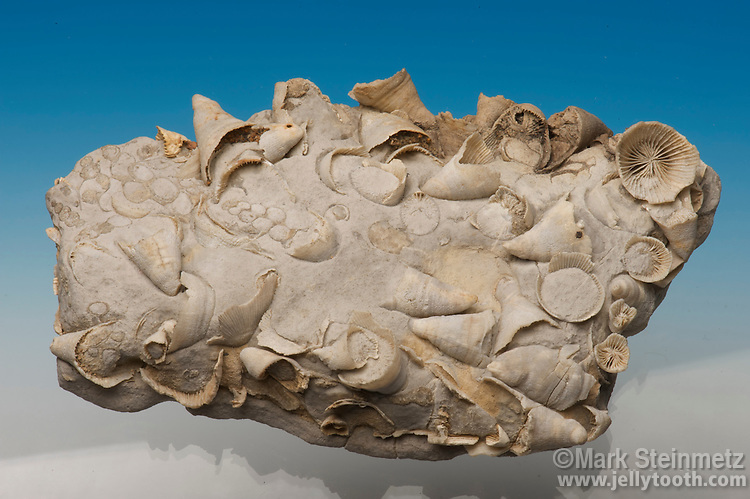 Slab featuring many rugose coral (Zaphrentis hannah) fossils, also known as horn coral. Silurian Period. Anticosti Island, Quebec, Canada.